We offer first-rate knowledge and experience to help plan, implement, and support your Versatile records management and retention software. Providing superior customer service is at the heart of who we are. Our reputation stands on our commitment to a superior customer experience. Every engagement is backed by our unmatched technical support. When you call us, you’ll speak with a subject matter expert—every time. A successful software implementation is critical to your records management initiatives. We establish guidelines to help ensure your records management solution is seamlessly integrated within your business. Our experienced support team can convert your existing data to any of our technology solutions. We provide quality insight to plan and migrate to your new records management environment. We can work directly with internal IT personnel remotely or onsite. We aim to eliminate stress and unnecessary steps to install and configure our technology solutions. We offer remote and onsite hands-on training courses designed to help you effectively use our technology solutions. We take pride in providing quality updates to our technology solutions. Customers with a current support contract will have access to software updates as they become available. We can deliver electronically or on a disc, depending on your preference. Ron Farnsworth has been at Zasio for just over two years. In his role as a Software Support Specialist, he enjoys being challenged every day by providing exceptional customer service for Zasio’s Versatile software suite and its underlying operating system and database technologies. He especially enjoys interacting with customers to provide product training and solution development—onsite or online. Ron earned his bachelor’s degree from Boise State University in 1994 and has worked in the Information Technology field ever since. His technical background includes hardware and software implementation and support for personal computers, servers, and networking products. He also has experience in project management, enterprise architecture, and product education and training. Ron’s technical certifications include Novell MCNE and Microsoft MCP, and he is actively pursuing the Microsoft MCSE certification in Data Management and Analytics. Ron has lived in Idaho most of his life. He and his wife are the proud parents of three daughters, one son, and two grandsons. He enjoys spending time with family, outdoors, woodwork, and cooking. Around the office, Ron is known for his quirky analogies and friendly nature. Zasio has been great to work with, especially the techs. No matter what questions or concerns there are they take time to understand what is going on and help you to understand the how and why of things. Zasio’s technical support team is impressive. This group consistently offers reliable and achievable solutions for our government agency. They are responsive and diligent in their work. The migration process from three legacy systems to Versatile Enterprise was a success for the State of Idaho. 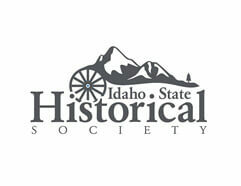 The Idaho State Historical Society saw immediate efficiencies and program improvements thanks to the implementation of Zasio products. A pioneer in Information Governance, we continue to expand our technology and consulting services to help businesses of all sizes maintain the highest records management and retention standards.